West Kimberley is considered “highly prospective” for additional nickel-copper-cobalt sulfide mineralization within the Ruins Dolerite trend. Buxton Resources (ASX:BUX) has entered an agreement with New World Cobalt (ASX:NWC) to acquire the West Kimberley project. The project consists of three tenements that are adjacent and contiguous to Buxton’s Merlin prospect. 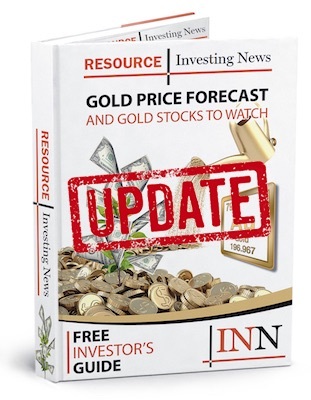 West Kimberley is considered “highly prospective” for additional nickel-copper-cobalt sulfide mineralization within the Ruins Dolerite trend, an area within the West Kimberley belt said to host the aforementioned resources. The acquisition of West Kimberley will give Buxton majority ownership of the Ruins Dolerite trend. Under the agreement, Buxton will initially issue 1.33 million fully paid ordinary shares to New World in exchange for West Kimberley. Later, upon meeting specific drilling results, the company will issue $250,000 worth of shares, and will do the same after announcing a JORC-compliant resource. Finally, after releasing a JORC-compliant resource that exceeds 15,000 tonnes of contained nickel equivalent within the project, Buxton will issue a last $500,000 worth of shares. According to New World, the divestment of West Kimberley to Buxton will allow the company to focus on exploring and developing its cobalt projects in North America, such as the Colson cobalt-copper project in Idaho and the Goodsprings copper-cobalt project in Nevada. Buxton has a heavy focus on nickel-copper projects, which accompany its sole graphite project, Yalbra. However, the company has also been actively exploring and developing its Double Magic project, which hosts the Merlin prospect. Drilling began at Merlin in July of this year, but has since been temporarily halted as the company awaits assays and downhole electromagnetic surveys. New World’s share price remained unchanged at the end of trading on the ASX on Tuesday (November 6) at AU$0.04, while Buxton shares grew 20 percent to AU$0.15.